Companion pair of Virginia profile portraits, pencil and charcoal on paper, unsigned but attributed to Charles Burton (1782-after 1847), depicting Dr. James H. Wheatley (1798-1842) and his wife Mildred Lewis Williams Wheatley (1800-1878), seated in fancy painted Sheraton style chairs and attired in circa 1820s clothing. 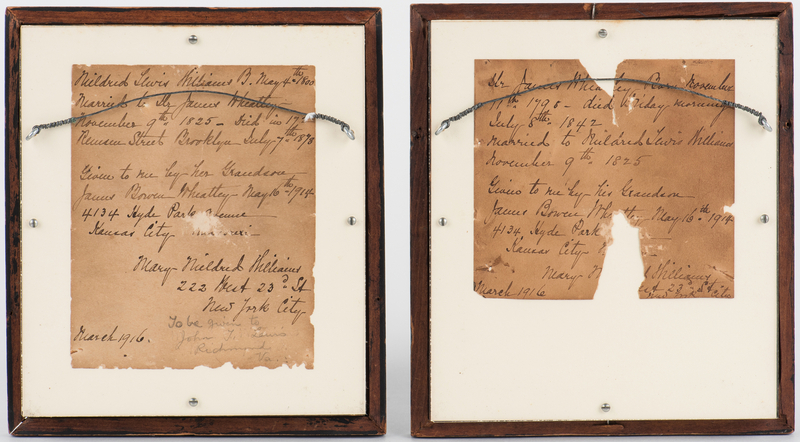 Pencil inscriptions, early 20th century, en verso of each, noting the name of the sitter, birth & death dates and marriage dates, as well as the recipient of the drawings, Mary Mildred Williams, from Mary Lewis Williams Wheatley's grandson, James Bowen Wheatly. Housed in the original ebonized wooden frames. 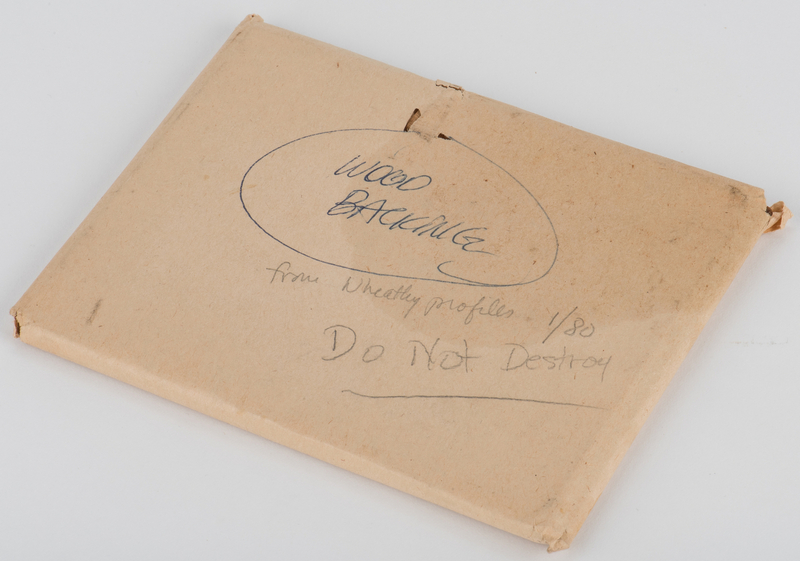 Old wood backing has been removed but retained. Inscription geneaology labels retained and fixed to the back with conservation plexi-glass. 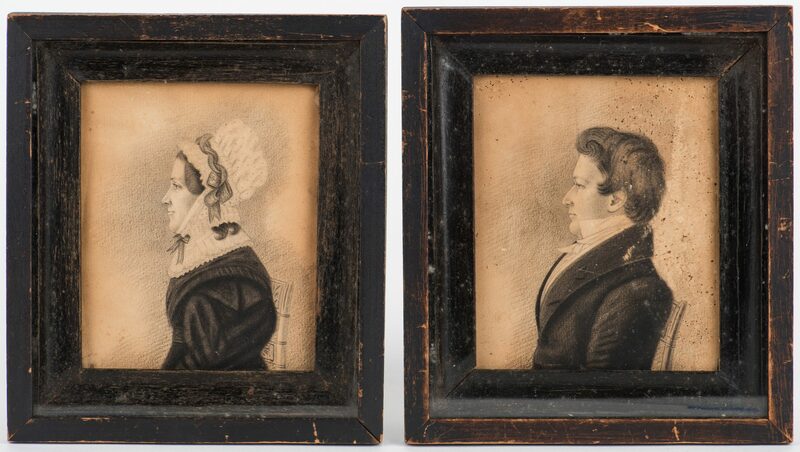 Male portrait: Sight – 5 3/8" H x 4 1/2" W. Framed – 8 1/8" H x 7 1/4" W. Female portrait: Sight – 5 1/4" H x 4 3/8" W. Framed – 8" H x 7 1/8" W. Note: Dr. Wheatley (birth date uncertain, d. circa 1849) was the son of James and Mary (Martin) Wheatley and brother of Albert G. Wheatley of Culpepper County, VA. 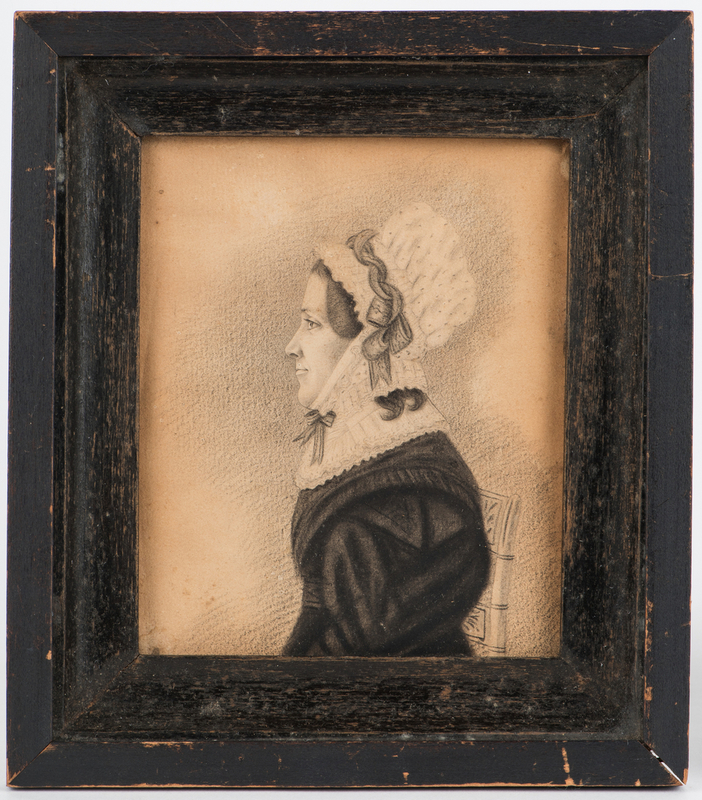 In 1824, he married Mildred Lewis Williams (1800-1878) in Lynchburg, VA. They had two children, James Howell Wheatley and James Bowen Wheatley. 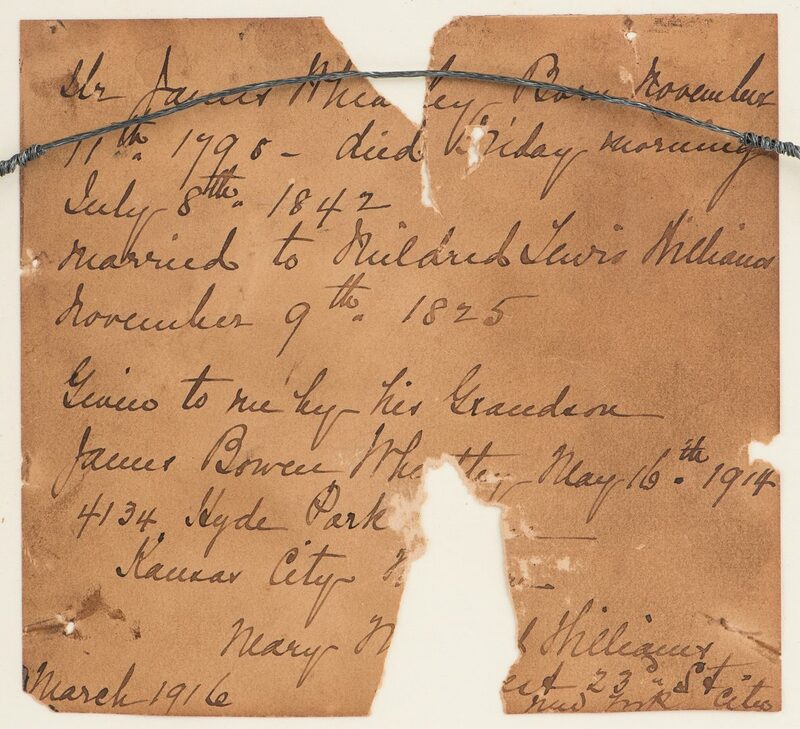 The couple likely moved to Middle Tennessee: 1836 Montgomery County, TN tax records list a James Wheatley, and after her husband's death around 1849, Mildred Wheatley was listed living in Clarksville, TN. 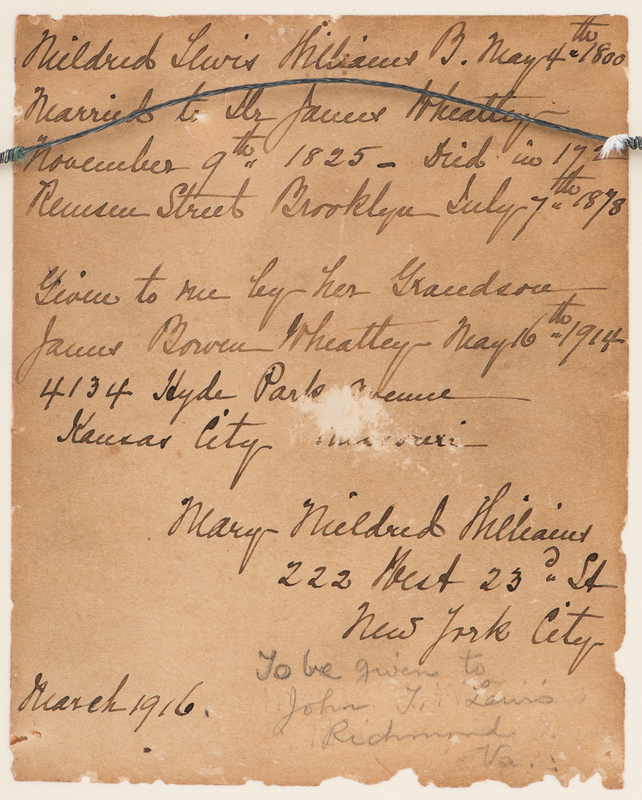 Death records also list a Mildred L. Wheatly death in 1878 in Brooklyn, NY. 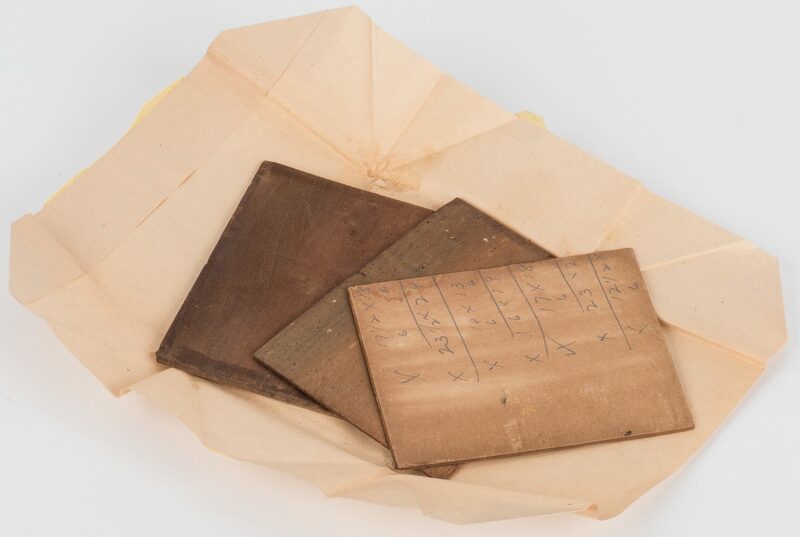 Most of these dates correspond with the pencil inscriptions en verso. (sources: the genealogical book "Lewis from Warner Hall: The History of A Family" by Sorely; Ancestry.com Marriage, Tax and Death records). 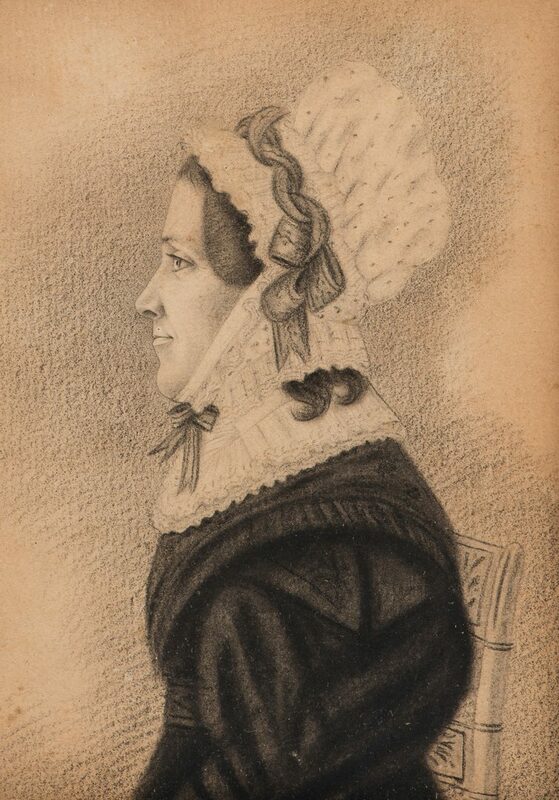 Note: Although these portraits bear some similarities to a growing body of identified works by Virginia portrait artist Silon Henkel, the biographical dates of the Wheatleys point to a Burton attribution. 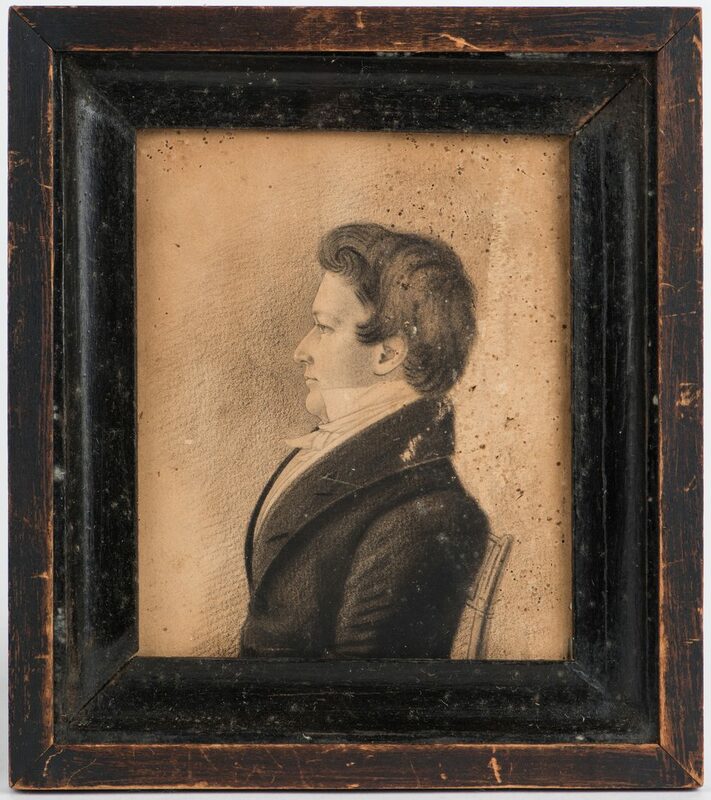 A similar pair of Burton-attributed portraits was sold by Case Antiques in 2015: https://caseantiques.com/item/lot-198-pair-va-charcoal-profile-portraits-attrib-charle/. Biography: London-born Charles Burton (1782-after 1847) received some training at the Royal Academy before immigrating to New York around 1817. Once in America, he abandoned oils for graphite and watercolor, and began traveling to find work between New York and Virginia. His works, which are rarely signed, are typically skilled, detailed, and finely shadowed, with the subject nearly always depicted in a "Fancy" painted chair. 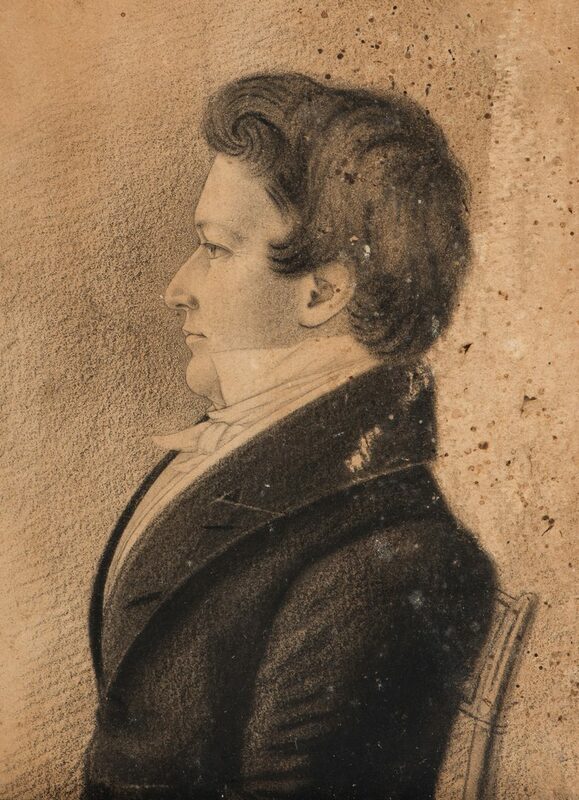 Burton's portraits are in several museum collections including The Museum of Early Southern Decorative Arts in Winston-Salem, North Carolina, and The Abby Aldrich Rockefeller Folk Art Center at Colonial Williamsburg. (source: the Museum of Early Southern Decorative Arts). CONDITION: Overall toning to paper on each portrait. Light scattered foxing to both, mostly to the right of the male figure, right margin. Slight losses to paper, right margin, of male figure, rubbing to right shoulder area of male figure. Abrasions and paint loss to frames.